Mount Angel restaurant names longtime employee Kelsi Weeks as its new general manager. The Glockenspiel Restaurant has announced that longtime employee Kelsi Weeks has been promoted to general manager of the restaurant. Kelsi Weeks is a graduate of Le Cordon Bleu with a certificate in culinary arts and a Bachelor of Arts in management of culinary operations. As general manager, Weeks manages the schedules, staff, ordering product, creating all menus, maintaining the website, day-to-day business, catering and events. "I enjoy creating new menu ideas for the Glockenspiel, especially since we use local and seasonal products," she said in a press release. 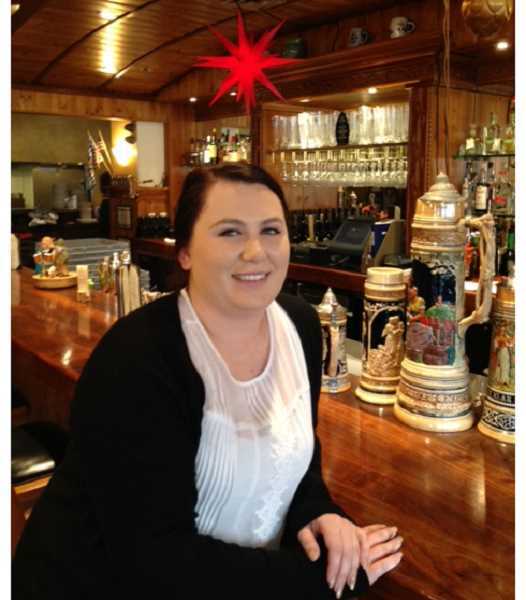 "I joined the Glockenspiel more than four years ago as a Le Cordon Bleu intern working as a line cook. After a few weeks, I realized that this restaurant was something special. What struck me was how the owners treat everyone like family. You don't see that very often and I wanted to be part of the team. Weeks, who has worked all aspects of the operations, from sous chef to front of the house positions, is excited to commemorate the restaurant's approaching 10-year anniversary. "Our goal is to expand our creativity and increase our customer base," she said. "We want people to see our food, eat, and enjoy their time with us!" The restaurant has 16 full-time and part-time employees, most of whom have local roots and live in the area. The Glockenspiel Restaurant is located in the Bavarian Village in Mount Angel, at 190 E. Charles St.